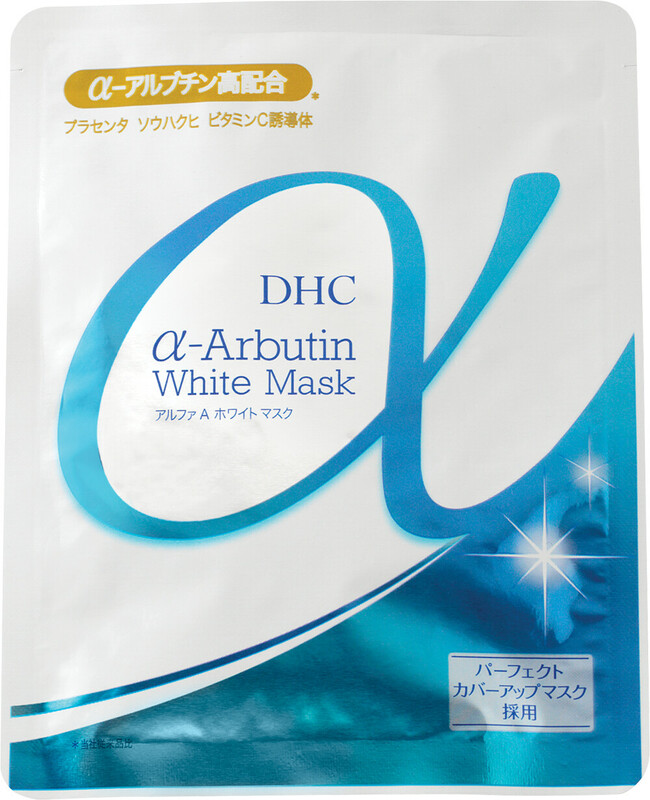 Fight dullness and discolouration with DHC Alpha-Arbutin White Mask, a sheet mask formulated with moisture-binding ingredients. The conditioning Alpha-Arbutin Mask helps target ageing and sun exposure. The revamped sheet mask contains 43% more serum than before, uniting scientifically advanced brightener, alpha-arbutin, with mulberry, serine and peony. The sheet mask’s radiance enhancing formula delivers a continuous dose of hydration to your skin, and the addition of fold-over flaps allow you to also treat your eye area. Cleanse the skin thoroughly before applying. Hold the tab with a slit in your left hand and the other tab in your right and place onto the face. Leave for 20 minutes then remove, pressing any remaining serum onto skin. DHC Alpha - Arbutin White Mask is rated 4.8 out of 5 by 5. Rated 4 out of 5 by Sue95 from good mask I only bought one and use it. I am Not sure about the effect of whitening, but it is moisture. But it is expensive. Rated 5 out of 5 by Keebs from Love love love it! This is one of the nicest sheet masks I've used. It was easy to use and had a very clean and fresh smell to it. After using it, my skin felt amazing! The next morning my husband said I looked amazing and I didn't have a stitch of make up on. It made my dull and oily skin so bright and fresh looking. Definitely buying more!